Really pleased that he's taking his chance. Hopefully should be able to take this into next year and hit the ground running. Agree, think this was always going to be a consolidation season, even if we could have got a little closer to the top 6 than we have. Have some winnable games between now and the end of the season, so there's a chance we might still up there. I genuinely think that the right three players could make the world of difference to this team. He did fairly well when he started there at home earlier in the season too (the opposition escapes me). For all that he's not good enough to be starting if we want to progress, he's pretty effective at winning the ball, especially in the air. Like a lot of the players who get a bit of stick on here, I wouldn't at all be in a hurry to get rid of Williams. It's just important that that they become squaddies rather than first teamers. He failed to keep us up, but whilst delivering a points per game ratio which would have had us near the play offs over a full season! Perhaps that's still a failure, but not particularly good evidence for the guy being a bad manager! Not to mention that his team got promoted with nearly 100 points last season. You're right that he should be judged on the bottom line. That's why I think it's madness to put him in the same bracket as the worst managers in our history on the basis of a couple of months of (really) bad form and some overly conservative selections in midfield. Couldn't agree more about the empty seats. Somehow I think Mowbray is pretty far down the list of people who can be held responsible for that. Not saying that I've agreed with every decision he's made by any stretch, but to compare him to either of those charlatans, even pure;y on ability and not character, is absolutely ludicrous. Fair enough there's no room for sentiment, but it's literally just over 2 months since we were the form team in the division, he was manager of the month and we were hoping for a play offs. All this from a team which had just been promoted. He's not above criticism, and the last 2 months have been dreadful until the Derby game, but some of the hyperbole here is way over the top. Comparing him with Coyle & Kean is like comparing night and day. Not sure that's the full story. I don't agree with Tony when he has dug out Raya and Rothwell, but to be fair it's usually just been with the one aspect of their game when saying that they can do other stuff well. He's done the same with Mulgrew and how well he can be dodgy in the air, and he's called Smallwood a limited player basically since he came through the door. Said that he wasn't picking Evans for a lot of last season beacuse he wasn't playing well enough. 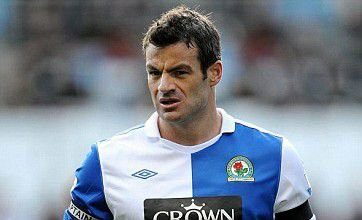 On Rothwell in particular, I would've played him more and I think Mowbray has been a bit too harsh on him, but I aso think this is probably a case where the manager can't do right for doing wrong. We've been letting in far too many goals this season, but in my view we can't complain about that whilst at the same time dig the manager out for expecting his midfielders to be able to defend. Happy with this. Really bad time to get a injury like he did, but looks like he is impressing in the U23s. Perhaps not, they fill the gaps in the Rovers academy XI though. Not saying I'd have them all back either, not sure how long it took for Middlesbrough to get relegated after they played a full team from their academy, but I guess it was pretty soon. Still pretty prolific given the number of clubs we're competing with though! If we're looking at the best it could've been, had we retained all of our youth team products even since we got relegated, we could be including O'Connell, Mahoney, Hanley & Josh Morris to that list, and that's just in the last 3 or so seasons. Looks a talent in the snippets I've seen. Hopefully can get on the pitch some more before the season draws to a close. There aren't that many that I'm too eager to see the back of if we don't have to. We need a few key additions to progress, certainly, but there are plenty that have shown themselves to be good squad players, capable of playing in a team that can get results. Trouble is, we have too many, and now it seems to have caught up with us. We definitely need to bring in another centre half and centre forward imo, so I'd let Downing get first team football elsewhere, only take Rodwell on a modest wage and, whilst I really feel for the lad, don't think Samuel will do himself any favours fighting for a spot on the bench. Nuttall I'd look to loan to a L1 club, but don't see any urgency to get rid. Conway has just about been worth his low-risk extension this year, but I'd be concerned if we were looking to him to play a significant role next year, so should probably go as much as he's been a great servant. Hasn't worked out for Gladwin, and another keeper to compete with Raya instead of Luetwiler seems sensible. Other than that, I'd be more than happy to keep anyone who wants to fight for their place. Without exaggerating, there is still a healthy number of at least nominal Rovers fans in that part of the world. Think the supporters club moved to the Dog & Partridge down the road (which has since closed & reopened as a gun shop - the Dog & Cartridge!). You probably need to get as far as Chorley before you would class it as proper Rovers territory though. Can get to Ewood in 30 minutes, but then again you can say the same for the Manchester & Liverpool clubs, and even Bolton. Also goes to show why it's not surprising that even after their relative glory years, Latics have never been able to get much support. 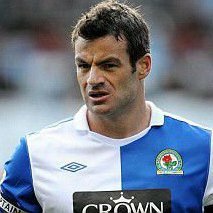 I remember getting free tickets to watch low-demand Rovers games from school in the early 2000s, and that was in Wigan! No reason at all why we shouldn't target basically everywhere in Lancashire north of Bolton imo.